At any given moment there are sophisticated Parisiennes drinking tea and nibbling at a Macaron on the Champs Elysees.No French pâtisserie can exist without a selection of mouth-watering colourful Macaroons. These melt-in-the-mouth fruity, nutty or creamy confections have been served in French palaces and chic salons for over three hundred years. 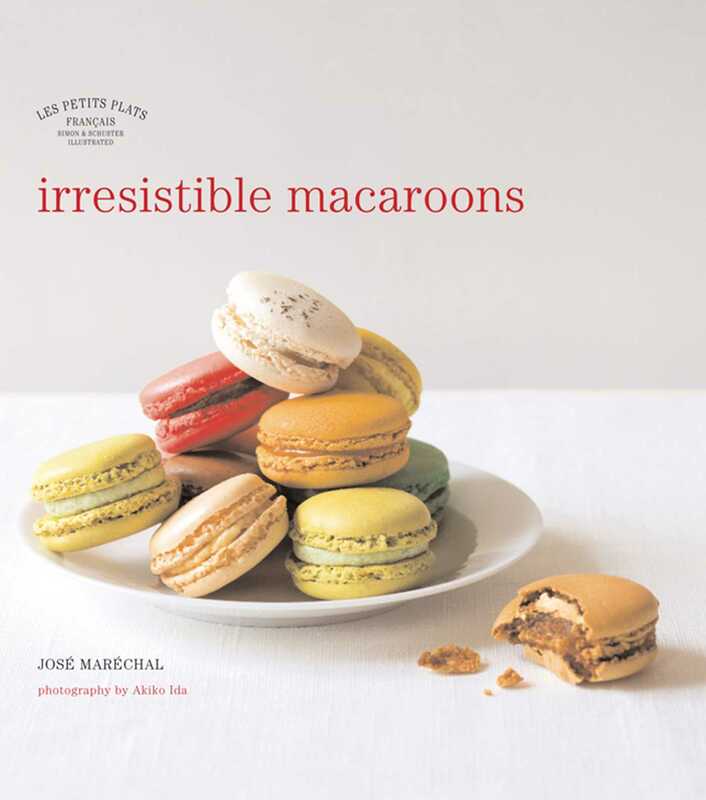 In Irresistible Macaroonsyou'll learn how to make these fabulously decadent smooth almond meringues, sandwiched together with a rich ganache. Perfect as gifts, impressive as amuse bouches, join the likes of Carla Bruni, Catherine Deneuve and Charlotte Rampling in their favourite secret indulgence. The famous Parisienne tea room Ladurée is now in Harrods and the Pierre Hermé boutique is selling macaroons at Selfridges.